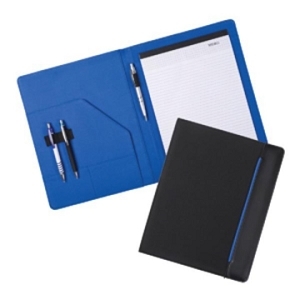 Quality Custom Printed Compendiums all branded with your logo. 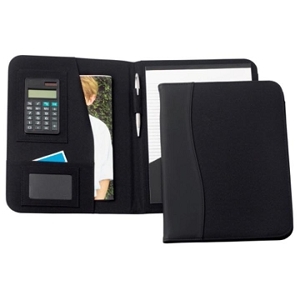 We have a large range of either synthetic soft feel fabric, PU or leather style personalised compendiums to suit from a very cheap budget up to a great gift idea. 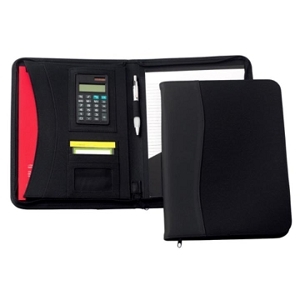 Our compendiums are perfect for conferences, events or providing a professional look to your sales team. 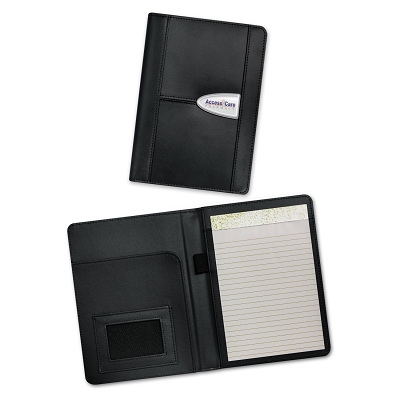 Choose from leather compendiums or our cheaper synthetic compendiums with different trims and stitching. 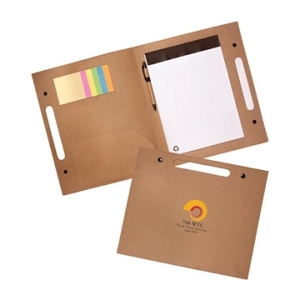 We have promotional compendiums that will suit your needs, budget and style. 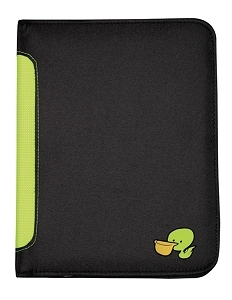 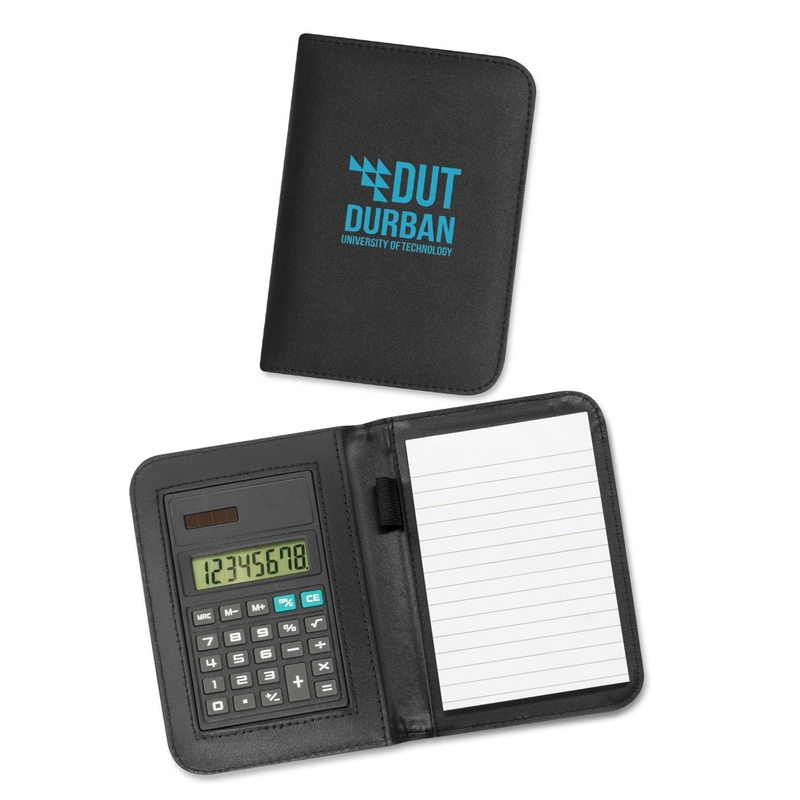 We have optional calculators and a variety of sizes that can include notepads, binder rings, business cards holder and pen holders along with a variety of additional pockets to store paperwork. 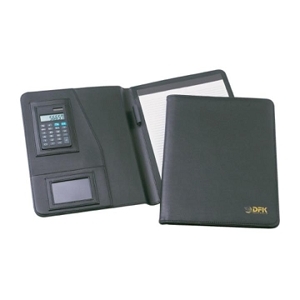 We can either print onto the the surface of the compendium to personalise it for your business and can either print in 1 or full colour, embossed or foil print in gold, silver and many other colours if required. 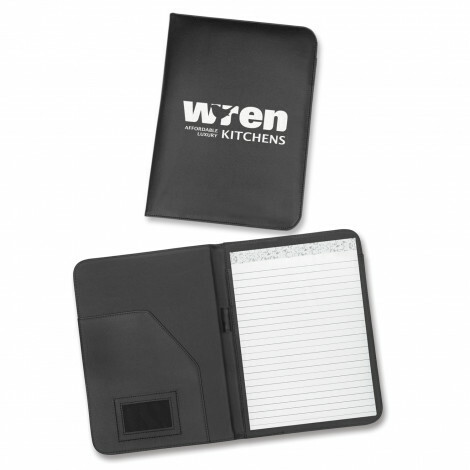 Also depending if the compendium has a metal clip or area for branding we can also laser engrave your logo. 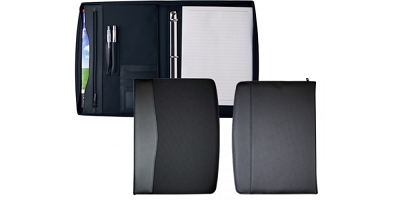 "Promotional Compendiums for all Budgets"